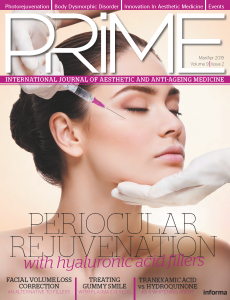 Patrick Treacy discusses the options available for the rejuvenation of the periorbital area, including chemical peels, fillers, and microfocused ultrasound. The demand for non-invasive and minimally invasive skin-tightening procedures is rising within the aesthetic world as patients seek safe and effective alternatives to aesthetic surgical procedures of the face, neck, and body. The face, and more specifically the eyes, is the area for which most patients seek cosmetic rejuvenation as it is very important in contact between humans; providing a window to the rest of society regarding a patient’s level of health, tiredness, emotional status as well as interest in others. The periorbital area, consisting of the eyelids and surrounding areas, including the eyebrows, bony eye socket and rims, cheeks, and forehead is also the first area to show signs of ageing. Periorbital ageing involves changes that are multidimensional and multifactorial. Surgical procedures address some aspects of periorbital ageing but leave many elements untreated. The eyes and eyelids are very complex and delicate areas, and as such need to be approached and treated with care (Figure 1). Recent literature has shown that changes occurring in the bony structure surrounding the eye causes a substantial impact upon the ageing process especially with respect to volumetric changes1. 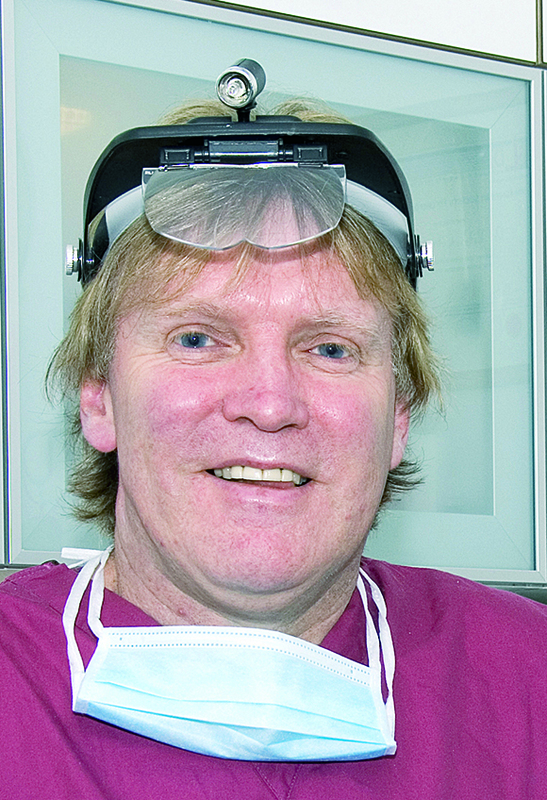 A variety of differing aesthetic treatments are available for non-surgical periorbital rejuvenation but one procedure or technique alone is usually insufficient. Techniques include botulinum injections, chemical peels, dermal fillers, plasma rich platelets, micro-needling, micro-focused high intensity ultrasound, and radiofrequency as well as non-ablative and ablative lasers2. Although these less invasive treatments will not replace surgery, a growing patient population is seeking results through low-risk procedures with associated minimal downtime. Essentially the science in non-surgical rejuvenation is built around concepts associated with wound healing and collagen generation. Each of these devices has their own relative beneﬁts as well as their own risks. Periorbital rejuvenation techniques continue to improve as new technologies become available and their ability to administer the injury deep in the underlying tissue results in no visible signs of trauma on the outside and plumper smoother skin. The technology continually changes due to an increased ability to safely deliver energy to deeper tissue planes. A number of authors have described the benefit of combination techniques in treating the periorbital area3,4. 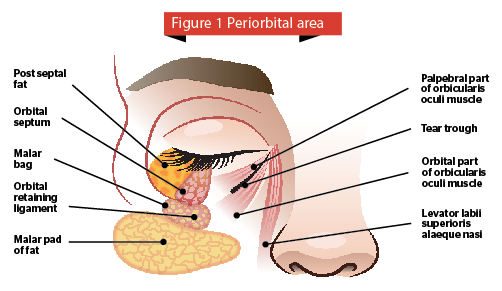 The periorbital anatomy is particularly well suited for botulinum toxin treatments and is the most frequent site to benefit from the cosmetic application of the toxin. Therapy is aimed at paralyzing specific muscles in order to reverse their effects on the overlying skin. 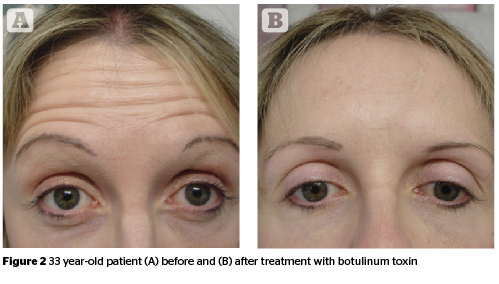 Cosmetic benefits of botulinum toxin treatment include smoother, line-free skin, improved brow contour, and optimal post-surgical healing in certain circumstances. Botulinum toxin therapy is simple, effective, and forgiving, making it very popular among physicians and patients alike5. Dermatologic use of botulinum toxin has traditionally been applied to the treatment of glabellar furrows, forehead, and periorbital rhytides. Since periorbital rhytides result from both photoaging and contraction of the orbicularis oculi muscles, the treatment goal is muscle weakening, not paralysis6. Use of this treatment either prior to or after periorbital laser resurfacing augments the effects of the laser and helps maintain the improved appearance of wrinkles7. Retinol is a cosmetic ingredient that is structurally similar to all-trans-retinoic acid, which has been shown to be effective in the treatment of photodamage. Since skin keratinocytes are reported to metabolize retinol to retinoic acid, investigators have hypothesized that retinol may also be helpful in improving skin photodamage8. Chemical peels are one of the most common dermatological procedures for skin rejuvenation. The process involves applying a caustic substance to the skin to produce a controlled partial thickness injury. Peels are categorized as superficial, medium, and deep. Superficial peels penetrate the epidermis down to the dermal-epidermal junction. These peels include Jessner’s solution, which is a combination of resorcinol, salicylic acid, and lactic acid in an alcohol solution. Glycolic acid at concentrations of 20% to 70% is a more popular agent used for superficial chemical peeling. Trichloroacetic acid (TCA) is a versatile peeling agent because the concentration may be adjusted in order to achieve the desired depth of peel. Concentrations of 15% to 35% TCA can be used for superficial peeling. Medium-depth peels pertain to the use of agents or a combination of agents in order to produce an injury depth down to the upper reticular dermis. These peels are best used to treat actinic keratoses, dyschromia, and mild wrinkling9,10. Deep peels involve the use of chemoexfoliants that penetrate to the mid reticular dermis. Indications for their use include deep rhytides secondary to photo-damage and treatment of severe or extensive actinic keratoses. Deep chemical peeling entails longer healing times and increased potential for complications. Baker’s formula is the most commonly used deep chemical peel. It is composed of a mixture containing 3 ml 88% phenol USP, three drops croton oil, eight drops Septisol®, and 2 ml distilled water10. Over the past decade, radiofrequency (RF) and infrared (IR) laser devices have been popularized owing to their ability to deliver controlled heat to the dermis, stimulate neocollagenesis, and effect modest tissue tightening with minimal recovery. These devices use radiofrequency (RF) energy and electrical energy to deliver a controlled thermal injury to heat skin. RF entered the realm of periorbital skin rejuvenation in 2002 when the Food and Drug Administration (FDA) approved Thermage (Solta, Hayward, CA) for facial skin tightening. Since then, many different variants of RF devices including the monopolar Pellevé (Cynosure, Inc., Hicksville, NY) have been developed and approved by the FDA11,12. These devices deliver continuous monopolar RF energy, rather than pulsed heating, and repeatedly bring the skin to therapeutic temperatures until maximal contraction is obtained. Another effective bipolar RF device for the periorbital area is the Syneron Polaris, based on ELOS technology using conducted RF in combination with a high power diode laser. It has multiple applications including wrinkle and skin texture treatment (WR). The superposition of RF and light creates strong heating of the deep dermis with minimal risk of side-effects and the electrode design allows high energy delivery to a depth of 2.5 mm13,14. Infrared laser skin tightening is a minimally invasive way to tighten periorbital skin without surgery and help reverse some of the signs of ageing. Microfocused ultrasound (MFU) has been recently developed to meet the public demand for periorbital skin lifting and tightening. This non-invasive device is called Ulthera® and the treatment is Ultherapy® (Ulthera, Inc., Mesa, AZ). It causes fractional thermal injury to a precisely set depth using ultrasound technology with minimal discomfort and transient erythema15. It can be focused on subcutaneous tissue, producing small (<1 mm) thermal coagulation points to a depth of up to 5 mm within the mid-to-deep reticular layer of the dermis and sub-dermis. The intervening papillary dermal and epidermal layers of skin remain unaffected. The application of heat at these discrete thermal coagulation points causes collagen fibres in the facial planes, such as the superficial musculoaponeurotic system and platysma, as well as the deep reticular dermis, to become denatured, contracting and stimulating de novo collagen14. The goal is to produce a deeper wound healing response at multiple levels with robust collagen remodelling and a more durable clinical response. By manipulating the ultrasound frequency, focal depth, power output, and duration of exposure, the temperature within the dermis can briefly be raised to 60 °C resulting in a discrete and reproducible zone of thermal coagulation16. Areas with the thinnest skin, such as the neck and periocular area, should be treated with superficial depth probes. The brow and temple should be treated with superficial and deeper probes, while cheeks and submental skin is best treated with the deepest 4 MHz/4.5 mm transducer followed by additional treatment with a superficial transducer17. Materials were first used for facial filling purposes more than 100 years ago. In 1893, autologous fat transfer was described as a good substitute material for soft tissue augmentation18. The periorbital subunit is one of the first facial regions to show signs of ageing, primarily due to volume depletion of the soft tissue and bony resorption. In the early 1970s, Stanford University investigators presented a preliminary study on injectable collagen in the face. A decade or so later, collagen was approved by the FDA for medical use19. Many authors have published comprehensive treatment of the periorbital region with hyaluronic acid1,20. The tear trough or infraorbital hollow is a challenging area to treat, and only a few fillers are suitable for this delicate area. 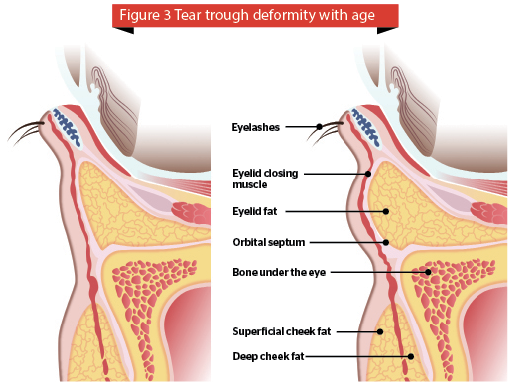 Tear trough deformity is a major concern in a lot of individuals seeking periorbital rejuvenation. A prominent tear trough deformity is characterised by a sunken appearance of the eye that results in the casting of a dark shadow over the lower eyelid, giving the patient a fatigued appearance despite adequate rest, and is refractory to attempts at cosmetic concealment. The tear trough deformity is a natural consequence of the anatomic attachments of the periorbital tissues. A variety of techniques have evolved to address this cosmetic issue21. 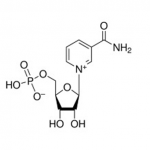 Several forms of hyaluronic acid are available (benzyl esters of hyaluronic acid, HYAFF), with differing degradation profiles have been used periorbitally22–24. Calcium hydroxylapatite (CaHA; Radiesse®, Merz Pharmaceuticals GmbH, Frankfurt, Germany) an injectable filler material composed of synthetic calcium hydroxylapatite microspheres has been used to restore infraorbital malar volume with aesthetic effect in patients25–27. The aesthetically attractive lower eyelid should display a relatively smooth transition between the pre-septal and orbital portions of the orbicularis oculi muscle and continue into the upper malar region without a definable transition point28. Dark circles are often a result of tear trough deformity. However, the causes of dark circles can be multi-factorial. Changes in skin thickness, laxity, hyperpigmentation, and actinic changes also play a role. Thin skin or prominent subcutaneous venous pooling accentuates the periorbital darkening29. The term ‘tear trough deformity’ was coined by Flowers in his opinion, descent of the cheek, loss of facial volume, underdevelopment of the infraorbital malar complex and a muscular defect between the orbicularis muscle and angular head of the quadratus labii superioris muscle were all responsible for the formation of tear trough deformity30. Sadick et al., proposed a tear trough rating scale (TTRS). According to this TTRS, it was found that the tear trough was not simply an age-related deformity. It is often related to a forward projection of the bone of the upper cheek, and it may be more common in patients with either congenital or age-related maxillary hypoplasia31 (Figure 3). A negative vector is when the cheek bone is relatively back to the projection of the eyeball or the front of the cornea. This means that the eye is forward while the cheekbone is back. It is important to balance everything. This is because the position of the lower eyelid is very dependent on multiple factors, such as the lateral canthal tendon, the position of the lower lid retractor, the tone of the skin and the orbicularis muscle. 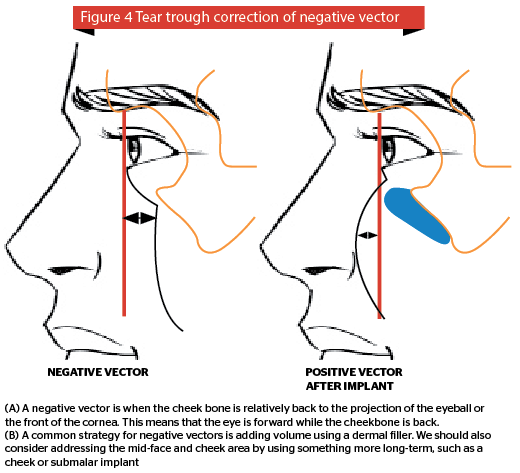 Sometimes one has to approach the tear trough in partnership with an oculoplastic surgeon to achieve the best result for your patient (Figure 4). Platelet-rich plasma (PRP) is a highly concentrated autologous solution of plasma prepared from a patient’s own blood. PRP contains platelets that are purported to release numerous growth factors that may be valuable in numerous dermatologic applications32. These injections were first used by Ferrari and Valbonesi in 1987 in open heart surgery and later in cosmetic use. Five major growth factors such as TGF, insulin-like growth factor (IGF), PDGF, EGF, and VEGF are known to be related to the wound-healing processes. These growth factors are released from platelets and the production of collagen of fibroblasts is stimulated by IGF, EGF, interleukin-1 (IL-1) and tumour necrosis factor (TNF)-α. In vivo studies report TGF-β to be the most stimulative growth factor. PRP has been used for dermal augmentation and Sclafani observed aesthetic improvements in less than 2 weeks and the results lasted for up to 3 months33,34. The benefits of red light photothera py on skin and hair has been known since 1967 after a Hungarian scientist noticed that shaved mice experienced better quality skin after exposure to 633 nm35. It is known that red light is absorbed by an intracellular enzyme, cytochrome c, responsible for stimulating fibroblasts by regulating gene activity and apoptosis36. Many different studies have been done to determine the efficacy of this wavelength in collagen production and skin rejuvenation37,38. To use red light in this specific area the author recommends using the specific eye covers supplied with these devices. GENO-LED (DTS MG., Korea,) is one such device used to deliver red light phototherapy. Collagen induction therapy (CIT) is an aesthetic medical procedure that involves repeatedly puncturing the skin with tiny, sterile needles. Typically, this is done with a specialized device called a microneedling device39,40. CIT appears to be a safe method for treating the periorbital region without destroying the epidermis. The procedure can be repeated safely and is also applicable in regions where laser treatments and deep peels are of limited use41,42. The author has used GENOSYS Eye roller (DTS MG., Korea,) with success as a CIT tool for the periorbital area. 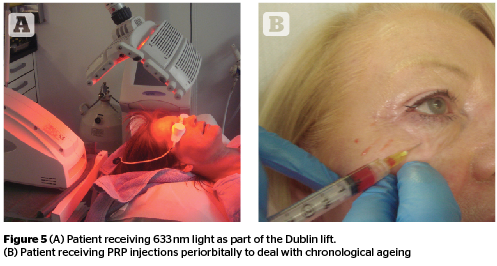 Advances in laser technology in recent decades have increased the options for the treatment of dermatologic conditions of the eye and eyelid. The recent advent of fractionated laser technology has resulted in dramatically decreased healing times for periocular skin resurfacing and fewer adverse effects. Fractionated laser resurfacing has now nearly supplanted traditional full-field laser resurfacing, and safe treatment of rhytides on the thin skin of the eyelids is possible43. It has also led to the removal of periorbital lesions, such as syringomas, xanthelasma, milia, and seborrheic keratosis. Coarse wrinkles in the periorbital area show good improvement in the regions submitted to a double-pass and non-sequential fractional ultrapulsed CO2 light treatment (ActiveFX, Lumenis Corp, Israel) is considered an excellent treatment for photodamaged facial skin44. The author has also used the Deka SmartXide (Florence, Italy) and Syneron Candela’s CO2RE (Israel) with good effect in this area. However, these ablative treatments are accompanied by significant downtime along with risk of possible infection and some physicians prefer non-ablative fractionalised resurfacing as a treatment with a lower therapeutic and side-effect profile. A variety of differing aesthetic treatments are available for non-surgical periorbital rejuvenation but one procedure or technique alone is usually insufficient. The most popular treatments presently are platelet rich plasma, HIFU devices (Ulthera), RF devices (BTL Exilis), and red light (Omnilux, GENO-LED). Murray CA, Zloty D, Warshawski L. The evolution of soft tissue fillers in clinical practice. Dematol Clin 2005; 23: 343–63. Aust MC, Knobloch K, Reimers K, Redeker J, Ipaktchi R, Altintas MA, Gohritz A, Schwaiger N, Vogt PM Percutaneous collagen induction therapy: an alternative treatment for burn scars. Burns 2010; 36(6): 836-43. doi: 10.1016/j.burns.2009.11.014. Epub 2010 Jan 13. Yates B, Que SK, D’Souza L, Suchecki J, Finch JJ. 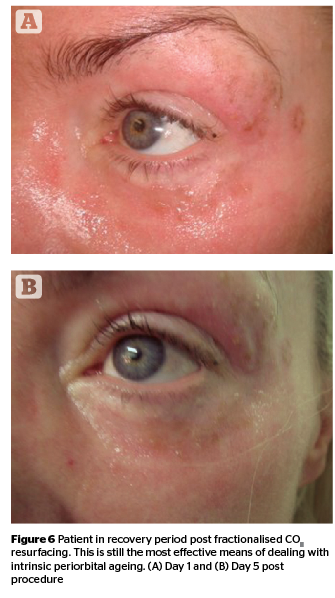 Laser treatment of periocular skin conditions. Clin Dermatol. 2015 Mar-Apr;33(2):197-206. doi: 10.1016/j.clindermatol.2014.10.011.